Collard greens, scientific name Brassica oleracea acephala, are loose leaf cultivars belonging to the same species as broccoli, and cabbage plants. This cool season vegetable is well known for its large size and dark colored edible leaves, but is also grown as a garden ornamental in many countries, especially parts of Africa, Brazil, Bosnia, Kashmir, Spain, Montenegro, Portugal, Southern Croatia, and the southern United States. Foliage is typically coarse and medium to dark green, and can have a blue cast. They reach up to 36 inches (90 cm) in height with a spread of 12 to 24 inches (30 – 60 cm). They are upright in nature and may have a clump, mound or cushion form. Collard greens are also classified under the same cultivar group as spring greens and Kale, to which they are very similar genetically. The “collard” name is a shortened form of the word “colewort”, which means cabbage plant. Collards are a hardy biennial that are normally grown as an annual by gardeners. This plant grows from two to three feet tall with emblems of huge, non-heading, waxy leaves that grows on sturdy stems. Collard greens have a strong, cabbage-like taste and can be grown in cool weather, similar with the other cabbage family members. This leafy plant needs to be planted in a deeply tilled soil due to the fact it can grow a very extensive tap root. Growing carrots is a good idea if you want a companion plant, as both of them prefer to be planted in a deep sandy soil. Choose a spot that has access to full sun, but with cool weather. Collards do not grow well in mid-summer heat and humidity. Although the soil should be kept moist at all time, making the soil wet should be avoided. This plant grows well in an organically rich soil with a pH of 6.5 to 7.5 (though they can tolerate a slightly more alkaline soil). Adding aged compost to planting beds a couple of weeks before planting is highly advisable, especially where soil is sandy. Although collards are known as a cool-weather crop, they are actually more tolerant of heat than cabbage. They are normally grown from transplants, started from seed indoors about four to six before the last frost in spring. When the soil outdoors is ready to be worked on during spring, collards can be sown outdoors. Transplanted seedlings should be around three to four inches (7.5 – 10 cm). Collards can be sown in early spring and in late summer to be ready for fall and winter harvest. 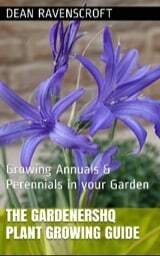 When planted in late summer, seeds should be sown directly in the garden. Germination occurs at 40 to 85°F (5 – 29°C). The soil should be top dressed with organic fertilizer or compost. Dig into the top few inches, and carefully sprinkle the seed on the raised portions. Sow seeds from ¼ to ¾ inch (1 to 2 cm) deep and one inche (2.5 cm) apart. Collards should be thinned only when they are big enough to lift by their true leaves. Thin collards to 12 to 18 inches (30 – 45 cm) apart, keep the rows 18 to 24 inches (45 – 60 cm) apart. Thinned seedlings should be transplanted to another part of the garden only when the plants have four to five true leaves. 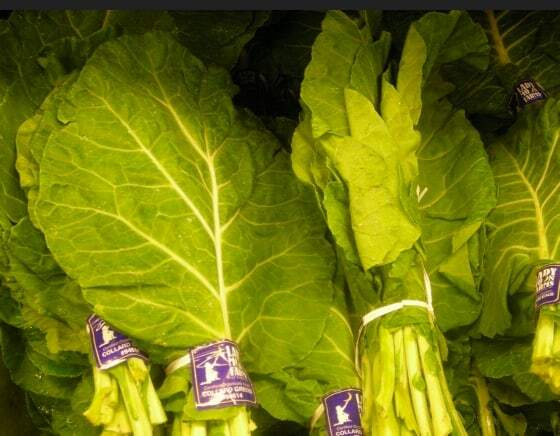 Collard greens can be harvested 70 to 80 days after planting and the tender young leaves are ready for harvest once they reach a size that they can be picked easily. Collards should be planted on a regular basis throughout their season and older plants discarded before their leaves begin to grow tough. The plant can turn stringy when under-watered, so it is important to use the correct amount of water, just enough to keep the soil moist. Although plants are fairly drought tolerant, lack of water reduces the flavor quality of the leaves. At midseason, side dress the plants; aged manure can also be added during autumn, before the planting season starts. For correct Collards care it is important to provide an organic mulch can help in keeping the soil from drying out thus, conserving water. It can also provide protection from the sun while keeping nutrients soak down into the soil. Peppers plants, southern Peas, and tomatoes are some of the best companion plants for collard greens. Avoid planting with potatoes, yams, and celery. The two major pests that affect collard greens are cabbage worms and aphids. To get rid of aphids, natural predators such as lacewings and ladybugs can be introduced, also be sure to spray them off with water. Planting native flowers around the vegetable patch can also bring helpful bugs that will get rid of the aphid population. Moths normally lay their eggs on plants that will in turn hatch and become cabbage worms in the garden; likewise these plants are make ideal butterfly garden plants. Plant catnip near to collards to discourage flying pests such as moths from hanging around the garden. Other common pests include Cutworm, Cabbage loopers (inch worm), Flea beetles, Cabbage root maggots, Slugs and snails, and Nematodes. It is recommended to encourage birds and predatory insects to your garden when growing vegetables. Common disease include Alternaria, Black leg, Black rot, and Clubroot. The best way to avoid cabbage family diseases is by crop rotation methods; ideally members should not be grown in the same location again for at least three, and preferably four, years. Collards are ready to be harvested 85 to 95 days from seeding, which is around 75 to 85 days after transplanting. Cut or pick leaves once the plants reach 12 inches (30 cm) tall and before they get too old and tough. It is best to eat collard greens right after harvest to experience it trues tender taste. However, it can also be stored in the refrigerator for a maximum of one week, or for two to three weeks when placed in a cold moist place. 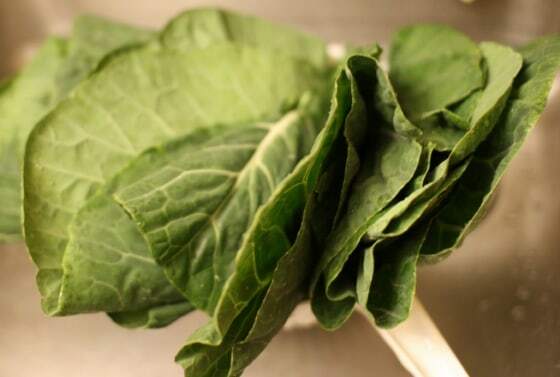 Collards can also be canned, frozen or dried.